I remember the times when I thought that the only tool which is necessary to compose music is a laptop. I decided to buy a MacBook (and of course it was a good decision – no regrets). But when the HDD crashed, and I took all tools I collected in the recent years, and I started composing without a laptop I felt the same excitement as when I started playing the guitar back in the high school. 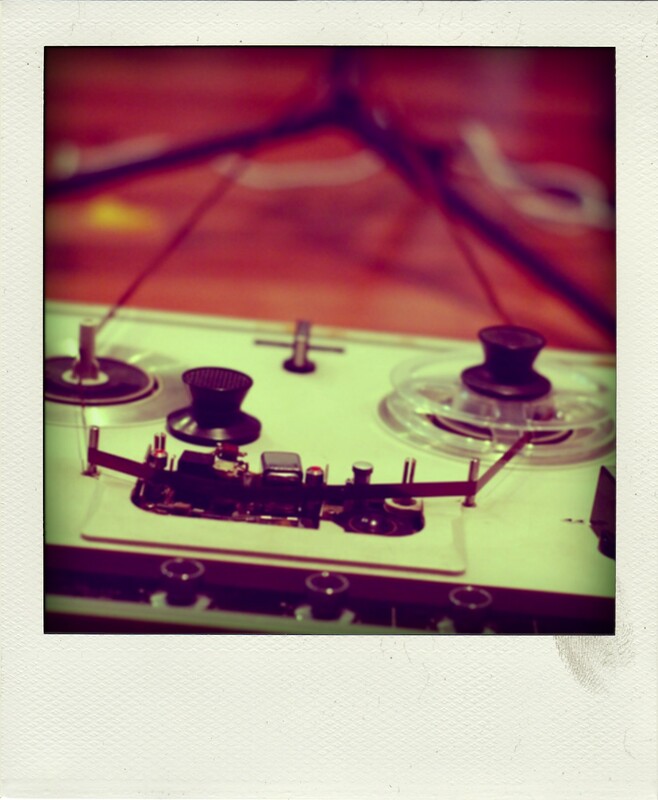 I started experimenting with the tape loops. It’s so interesting to get the results without a simple software which allows to get them with just a few clicks. Yesterday I recorded a few chords on the Kaoss Pad 3. Than I resampled them with the internal effects of the KP3. Finally I had a nice loop which I recorded on the tape. Next I cut the tape and made a long loop (see the pictures). You can listen to the loop which was finally recorded on TASCAM. Nice change in the times of all-powerful computers. 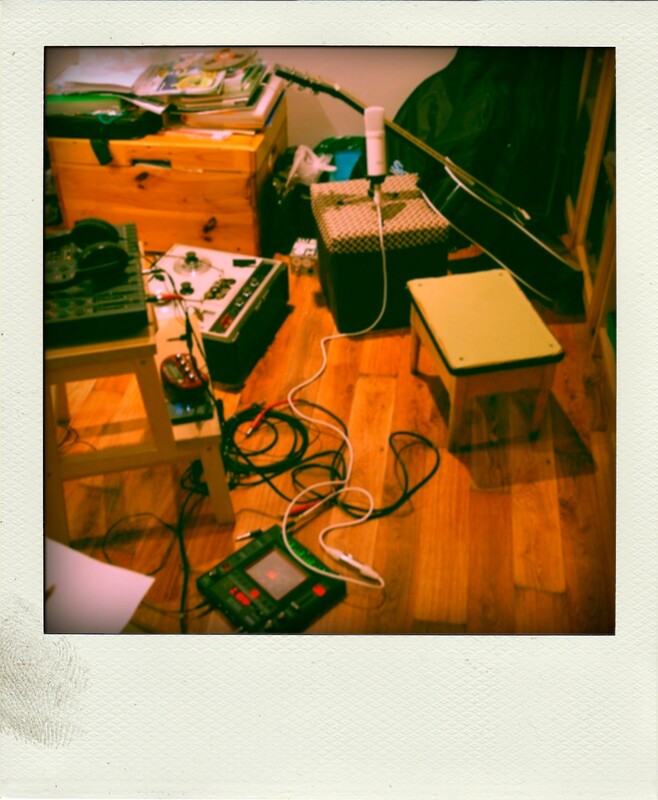 This way of recording, composing and sound design have made me really happy recently. I was very lazy using the usual tool, i.e. a laptop. Now when I only have a looper in KP3 and a 4-track TASCAM I have to be more creative in order to achieve the proper results. It’s like going back in time. All new tools are great and I love them but without the limits of old gear your creativity dies somewhere in the process of composing. In fact I am glad that my old HDD died and I found this old TASCAM in the basement. I really like the sound of the tape. It adds this vintage analogue sound to the music, which I really like. I used my old SONY TC-252 tape recorder to add that analogue touch to my recordings. Therefore things I recorded in Ableton, were than recorded on the tape and returned to the computer via Gleetchlab 3.0. The fact that the head of the recorder is worn out adds even more old style analogue hiss and sounds which were earlier considered unwanted by many producers. But I like them very much. You will hear many of that sounds on the upcoming album “Remaining Sounds“. I also bought a nice Tascam Porta 07, a 4-track cassette multitracker. I don’t have experience with it, but I think I am going to prepare some new sounds just with it and my other analogue instruments.